Should we read the Ruth Galloway books in order? 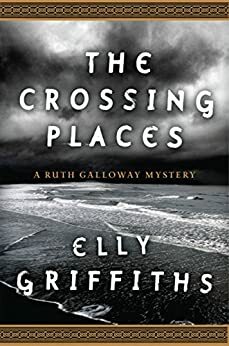 The Ruth Galloway series by Elly Griffiths is a relatively new addition to the archaeological mystery genre, with the first released book called The Crossing Places published in 2009. Currently, with 10 books in the series, Elly Griffiths started the book series inspired by her husband who switched from a city job to become an archaeologist. Book #10, The Dark Angel is published early 2018. Here are the Elly Griffiths books in order of publication for each of her series and standalone novels. Elly Griffiths (real name Domenica de Rosa) was born in 1963. She is a British author living in Brighton, who is most popular for her archaeological mystery series about Ruth Galloway, a forensic archaeologist living with her two cats in a Saltmarsh cottage who is involved with a married detective and have a child together. While the series is her most popular work to date, the author has written several other books under her real name, Domenica de Rosa, and has recently started a new series called DI Stephens & Max Mephisto, with two books published to date. As a child, she spent most of her time in Norfolk visiting her aunt, a place which became the setting for her popular archaeological mystery books. The first book in the series, which is also her first crime mystery novel, The Crossing Places won the Mary Higgins Clark Award, and the rest of the books in the series have been short and longlisted for various awards including the Theakston Old Peculier Crime Writing Award and the CWA Dagger in the Library Award. The author gets her inspiration for her books from her husband, who gave up banking in the city to retrain as an archaeologist and currently enjoys digging up bones and finding out their history. Elly Griffiths herself has an interesting in history, archaeology, myths, and legends. When not writing, she likes to swim, read and see plays at the theater. Ruth is a forensic anthropologist who is living in her cottage near Norfolk with her two cats – when she is not digging up graves and bones linked to archaeology, that is. 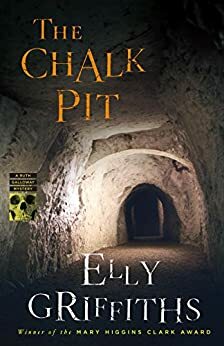 In The Chalk Pit, the 9th book in the series, Ruth discovers that some boiled bones in some underground tunnels in Norwich are pretty recent, so the case is are not archaeological in nature. Thus, DCI Nelson realizes that the case is actually a murder investigation involving homeless people. The story is fast-paced and there is always lots going on in the book. Ruth has to deal with some homeless people (called rough sleepers in the UK), and the way the author depicted these poor people entices lots of sympathy for them. These are all real folks who once had a real past, a real job, real talents, hobbies, and families. The characters from the previous books in the Ruth Galloway series return as well, so it’s nice to see once again some familiar faces who share lots of history together. Dark Angel, which was out early 2018 and takes Ruth to Rome to investigate a group of bones in a tiny hilltop village near the Italian capital. Ruth decides to take a much-needed vacation and flies to Italy to Castello Degli Angeli along with her daughter Kate and friend Shona. While she is trying to recover from her shock of meeting Harry Nelson, the ancient mystery her right into a more contemporary murder case that could endanger Ruth’s own life. 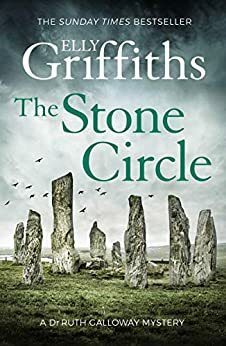 The Stone Circle, out in 2019, takes us back to the beginnings, when Ruth first started working with DCI Nelson, and brings us back to the early story that started the whole series, The Crossing Places. When Nelson receives a creepy letter which very much looks like those old ones that were sent to him by Erik Anderssen, he teams up with Ruth Galloway to work the new case which turns to be old, thus allowing them to close a long-forgotten cold case. As the new dig site that the letter directs him, holds another dead body. Just like in the past. This time, however, the bones belong to a child who disappeared back in 1981. 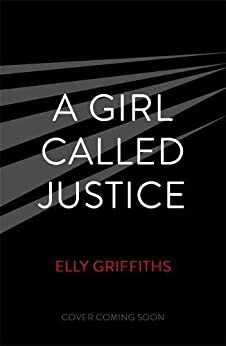 So far, Elly Griffiths has also written two standalone novels, with the second one, a young-adult sleuth story, coming out early 2019 with the title A Girl Called Justice. I have read the book series in order and I’m glad I did. First of all, I love archaeological mysteries, loved them ever since I’ve read the Amelia Peabody series, and when forensic anthropology is also involved, well, count me in! I got hooked right away. The stories in each book are stand alone, however, the interaction between the main characters (namely Ruth and Detective Chief Inspector Harry Nelson) are not. They have a rather complicated relationship which we get to entangle thread by thread through each of the novels. The book series is a very light mystery, nothing scary or gross going on there (despite the main character being a forensic anthropologist). It is not really your typical murder mystery either, however it does pull you in. And, it’s not a cozy mystery either. Personally, I recommend that you read the Elly Griffiths Ruth Galloway series in order. After all, there are only 10 books so far, so it’s not difficult to catch up to the last one. And while you are at it, do pick up the Stephens and Mephisto historical mystery series as well, as they are well-worth reading. I am a new reader. just getting started..
You will enjoy the series! A lot of housework left undone in a lot of houses I suspect! It is so difficult to put these books down . I love the pervading atmosphere of the surrounding countryside. Now I realise that I am not alone in my appreciation and enjoyment of these books. Having started with Woman in Blue, I have now gone back and started from the beginning. …they are much better in order. Only trouble is, I am going through them far too fast! Please write some more. Have just read the second of Elly,s books and couldn’t wait to finish it and start the next two that are sitting waiting on the bookshelf. The characters are all so appealing and the settings very real to a frequent Norfolk visitor. As other readers have said the stories are not too gruesome but totally believable and so enlightening historically. Love the characters and Ruth’s relationship with them. Being an overweight individual I can empathise with her. Yes . LikE me totally hooked. I’ve all 9 books ready to read on 4/5 Ruth 1st christmas tree. I mean Brilliant and recommend all. Read the whole series. Now reading through for the fourth time! I just love the characters. Theyre like old friends. I feel I know them all. Ruth is amazing – so capable yet so vulnerable. Please write another one in thie series before too long! I was so glad I discovered Elly Griffith’s Ruth Galloway series. Not only are the stories in each great but also well written. I loved too, that I am familiar with with the English East coast, although it is a long time, since I lived in England. Ruth is such a likable, ordinary person; in the physical sense ; but intelligent, still having frailties and weaknesses, as we all do. The other main characters likable and not, are also quite real. Above all, she is a darned god read. My other most liked Female Authors, Barbara Erskine, Debra Crombie and Kate Morton. Thank you too, for listing them in order, so important, I now know, I have missed one, so will look for it. ! I have read and re-read all of the Ruth Galloway mysteries and I am now waiting eagerly for the next book; the one after “Woman in Blue”. I also like the Elly Griffiths has built up the relationship between Ruth and Nelson and intrigued as to whether they do get together. Thank you for outlining the books in order. I tried to figure this out from the author’s website, but it was confusing. I’ve read all the Ruth Galloway books and I want to know when the next one is coming out. They are interesting books Really like all of the characters! Have just finished ‘The Ghostfields’ very good. Do we know when Ellue is producing the next Ruth Galloway story please? Definitely read in order. I love this series-the recurring characters, locales, new characters, history snd all else. I have listened to all six of Elly Griffiths books on Audible. Brilliant. Now im going to listen again as they have spoilled me for anything else. Missing Ruth and the gang. I can no longer see to read well but having discovered Elly Griffith’s Ruth Galloway series in audio format I am absolutely thrilled and working my way through them! When is next book about Ruth coming out? I agree about reading these books in order. It helps you to follow the characters as their relationships change. I can read a book in one sitting ( they are so good ) but I ration myself. I am halfway through dying fall so that means just 1 book left. have been trying to find ‘The tower of the Raven King’ as previewed at the end of Room full of Bones. Can’t find any references to it. Anyone help? So have I and no luck. Glad I’m not the only one! If the Ghost fields is due out in April what has happened to “The Tower…”? It was retitled dying fall. Thank you for that – My Husband bought me The Ghost fields and from then on I read backwards I have just finished A Room Full of Bones and got nothing done in the housework line as just couldn’t put it down, just about to start Dying Fall and was all confused with the titles etc. So glad that has been explained. Can’t wait to get onto the other series you have written, you are a fabulous writer (on a par with Linwood Barclay, although your language use is much cleaner). Thank you and keep writing. What a shame! I much prefer your original title, “The Tomb of the Raven King”. Having read all of your books with the exception of The Ghost Fields I would just like to say “thank you”, particularly for “A Room Full of Bones” which helped me through a difficult personal time as it was so (darkly) funny. I love the vein of humour that runs through all of Ruths’ adventures. And being a total cat lover she has my vote. In agreement with other comments, it is refreshing to have a heroine who is by no means perfect, not a size 8, not beautiful at all times no matter what, quick to irritate, quirky, solitary, stubborn, although she has no shortage of admirers so must be doing something right! My only regret is that I didn’t read the books in order. Elly Griffiths is one of the best English crime writers of our time. Gripping plots, not too ghoulish, has warmth and tenderness, but with gutsee interest. Love her stories of the Norfolk sea and sand dunes. If you know Norfolk and it’s coast, or you don’t, go check it out. Many thanks for a few hours of getting lost in your books, keep writing Elly we love you. Griffiths is my favorite writer of all. Love both series. I want to live in her house as well and bed friends with Cathbad. I love that her daughter calls him Daddy sometimes. 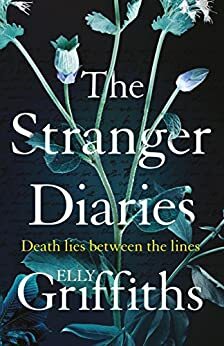 I read my first Elly Griffiths book with members of the Leigh Library Crime Reading Group. Since then I have read the other books in the series (best read in order). Have now got the latest book and can’t wait for more. The consensus of the whole group is brilliant writing. Is that Leigh ,Lancs, I come from Atherton Lancs and have just got the first book but haven’t read it yet . And now “the Outcast Dead” 2014. Can’t wait for the next. I’m finishing the first book and loved it. Can’t wait to read more about lovable Ruth. It’s pleasantly hilarious how Ruth is described as overweight, not-too-exciting as a character, middle-aged and lives with two cats. However, she’s overwhelmed with admirers, e.g., Peter, Nelson, etc…Gosh, I wish I could be that overwhelmed by love. I love Ruth. Thanks Ms. Griffiths for creating such a wonderful character. She’s a wonderful writer, isn’t she? I love the series as well!